Creating a great product is one thing, satisfying a market’s need is another. In this piece, we discuss what to do when launching a new product, and how to improve your chances of success by researching the market. Market research is a crucial element of a successful business venture: both prior to its start and all throughout its operation. Whatever field you are working in, it’s vital to thoroughly understand it — its cultural, economical, and social contexts. Prior to marketing a product, you ought to know how many people have a need for your product, how much they are paying now to satisfy that need, and how using your product can benefit them. Knowing this information as soon and as fully as possible will help you better understand your customers, outline your market, give you directions in which to move, and save you a lot of money and time in the long run. If you are a small business owner or an aspiring beginner entrepreneur, you might think that a market research of any considerable depth is impossible with tight budgets. But in fact, a little creativity reveals a number of market research tools affordably available to small businesses. Let’s have a look. One of the most affordable market research techniques is conducting surveys. Since most people today are open about their opinions and willingly share them if asked, surveys can be very effective. You can gather valuable insights on what your target audience might be expecting the product to be, and how much people are ready to pay for it. Questionnaires can be put up on Facebook, LinkedIn, and other social networks. Facebook groups unite people by their interests, and thus can be a valuable source of market research data. By meticulously studying a group related to the industry you are working in — reading questions that people ask, listening to the experiences they share — you might gather information that’ll help you hone your product and marketing strategy. As befits “the front page of the internet”, Reddit is huge. It’s somewhat like a super-forum, with thousands of branches, or “subreddits”, uniting people under various topics. The community and content you find on Reddit is incredibly diverse, the people are mostly friendly and willing to help and share their ideas. Looking for a topic related to your industry is a good way to find new product or marketing ideas. Covered with anonymity, people feel free to share their needs and thoughts openly. Reading niche discussions or even asking the community specific questions can inspire insights and help you better understand what people need. This makes Reddit a honeypot for marketers. There are probably other businesses along with yours in the field. Watching your rivals can be a good way to start your research and learn market context, forces disposition, and competition conditions. You should look at how your competitors appeal to people, how they position their products, what marketing techniques they use, what messages they promote, and how their businesses are organized. Generally, you need to know as much about them as possible. To make such a research, you should collect all the available information. Peruse their websites, info materials, eCommerce shops, watch ads they run on the web, read their blogs and social networks, etc. 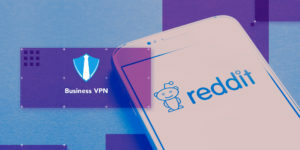 For instance, when our KeepSolid VPN Unlimited team has conducted such a research, we learned a lot about OEM VPN products and decided to add them to our product profile, too. Also, to look deeper into the topic, check out our article on marketing research during project downtime period. 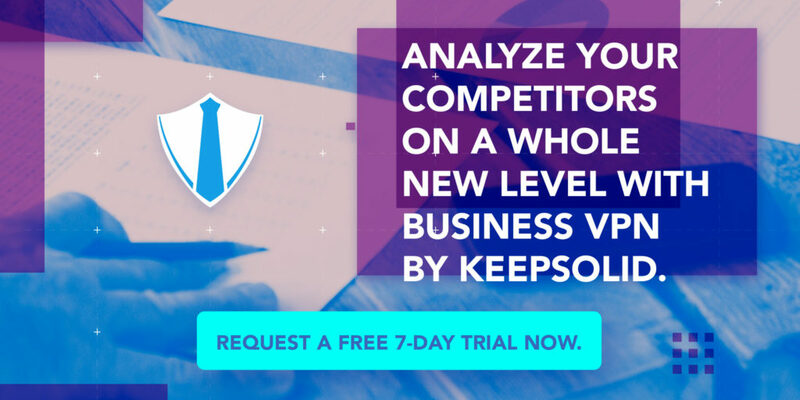 Note: Extensive presence on competitors’ sites can be easily noticed and IP addresses they frequently see can be tied to your business, which is probably not something you want. They might block you from accessing their resources or even initiate a campaign against you. The best way to hide your activity online is by using a VPN. Besides, if you plan to work in foreign markets, using a VPN will allow you to monitor and analyze ad campaigns your competitors have on those markets. With features specifically tuned for corporate needs, Business VPN by KeepSolid is a great choice for SMEs.